News and Rumors are gathered from various different websites. One particular website is not favored over another. All rumors are rumors and are to be taken as such. New for this year's Flower and Garden Festival at Epcot, a breakfast that will be available on select days called the Garden Town breakfast. See the previous post for more information about this new breakfast and info about the Flower and Garden Festival. DVC guests now have something to celebrate at WDW...in the form of a button. Much like those guests sporting buttons heralding birthdays and anniversaries, DVC member buttons celebrate how long a member has been with DVC. Buttons can be picked up at their DVC resorts, Guest Relations, or DVC information kiosks. Mickey's Jammin Jungle Parade at Disney's Animal Kingdom has moved back to it's 3:45 time slot. A new gift shop will be coming to the China Pavilion called the Good Fortune Gift Shop. Summer Nightastic is expected to run June 6th - Aug 14th. MuppetVision 3D at Disney's Hollywood Studios is expected to close for refurbishment April 24th - May 14th. The Wide World of Sports is officially the ESPN Wide World of Sports Complex. It's being rumored that monthly payment plans may become possible for Annual Passholders at WDW, much like they already do in California. The WDW version is expected to only be available to Florida residents and will require a deposit and credit card payments. There's a good chance when Toy Story 3 opens up, that Toy Story Midway Mania may be seeing some new game overlays. Some of the games may feature Lotso the Bear and Stretch the Octopus. 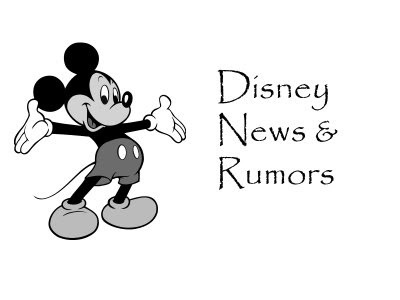 Some character changes: the Up characters are going to Disney's Animal Kingdom, Lotso the Bear from Toy Story 3 will be going to the Animation area and Ariel is rumored to be going where Prince Caspian was located. The Wave at Disney's Contemporary Resort may be changing it's name to The Wave of American Flavors. It's being rumored that there's a possibility that the Main Street Electrical Parade may end up sticking around after it's summer run...sticking all the way to Fall 2011. It's being rumored there may be some version of Captain Jack Sparrow on-board the Disney Dream, the form it is expected to take is unknown, as it could very well be virtual. There may be a possible new attraction for Downtown Disney, possibly involving water. The new drop sequence for Tower of Terror may start during Memorial Weekend. I hope the Main St electrical parade stays!